For those of you who don’t know me, I am a planner. I think it’s the control freak in me, but I plan everything. My calendar is filled with everything from meetings, doctor’s appointments, and events to my daily workouts, when Emily comes in to work each day, when to shoot certain campaigns and other probably unnecessary items. It just helps me visualize everything and stay on top of what’s happening each week! I treat my travel itineraries the same way. I do a lot of research and planning when it comes to my trips so that I don’t have to worry about it once I arrive at said destination. I’ve received numerous inquiries over the last couple of years about how I get my itineraries together for each trip and what kind of planning I do behind the scenes. Each trip is different – all planning depends on who I’m traveling with and what kind of trip it is. Here is a rundown of my thought process and step-by-step planning process. This might seem out of order to some of you, but this is always what I start with! Once I’ve decided I want to go somewhere and nailed down the exact location(s), I’ll figure out the dates that will work with my schedule and whoever I’m traveling with and go ahead and book the flights to and from each location. For one, it locks in the lowest price – the earlier you book, the cheaper a flight will be. The second reason, it forces me to get with it in regards to the rest of the plans. If flights aren’t booked, the trip may get pushed aside or won’t end up happening at all. Because I’ve committed to it and invested in plane tickets, I’ll stick with it. Now that I have my dates nailed down and flights booked, I start to research accommodations at each location. I usually start by perusing sites like Conde Nast Traveler, Departures, Travel & Leisure, etc to see what hotels repeatedly show up on a bunch of lists. Another website I look at is Mr. and Mrs. Smith, an excellent resource if you’re searching for a boutique hotel. Once I’ve made a list of hotels from the various lists I’ve found, I’ll go through each and see what rooms/prices are available on the dates I’ll be in that city. I usually add all of these to the same Google Doc so I can compare them all in one spot. During this process, I also compare the quality of the locations of each hotel and the proximity to areas we’ll be exploring. Very important thing to consider! Finally, I’ll check out reviews on Yelp and TripAdvisor for each hotel before making a final decision. These review sites are particularly helpful for seeing accurate photos of the rooms and spaces within the hotel, as users can upload their own photos to the site. I usually don’t trust a hotel’s website photos, simply because they are professional, impeccable, and usually outdated. Seeing the photos from someone’s iPhone are much more telling and provide a more accurate look at what shape the hotel is in currently. It’s also a great way to find out if there are issues going on at the hotel, like construction, for example. Definitely don’t want that! If I can’t locate a hotel in my price range and to my personal comfort level (or if my stay is particularly long), I’ll head over to AirBnB to see what’s available in my price range. I vet them using the same process: look at the location, amenities, user reviews (they’ve gotta have A LOT of positive reviews), etc. Once I’ve booked my accommodations, the fun part really begins. As I mentioned above, I generally create a dedicated Google Doc for each trip so I can make lists of everything we’re looking to see, places to eat, things to do, etc, and see it all in one place. I can share it with whoever I’m traveling with so they can add to the Google Doc too! For restaurants, I research EVERYWHERE. I look at Travel & Leisure, Conde Nast Traveler, Food & Wine, and Departures as far as magazines go, but online there are so many other resources too! I’ll look at Zagat, Eater, Thrillist, OpenTable, TripAdvisor, Yelp, etc. I’ll also delve further by looking at lists and guides featured on local blogs and magazines to see what the locals love. There’s so much information out there, but if you take the time to comb through all the lists, you’ll start to see some of the same restaurants pop up on quite a few lists. Yelp and TripAdvisor are also helpful for determining if a restaurant seems touristy – a quality I try to avoid whenever possible. For things to do and places to see, Google will be your best friend. In addition to showing you tons of articles, lists and guides based on your search, Google will automatically will pull up a rolling list of the top attractions (with photos!) in the city you’re looking at in the top column. At the very least, you can get a quick idea for the top line items that are the most popular attractions in each city and narrow it down from there. See below for an example! Before even trying to decide on what to do, I will add literally anything that sounds even remotely appealing to me to the list on the Google Doc. It gives you a starting point and an overview on the amount of options there are, and you can narrow down the list as you do more research on each location. In addition to the attractions within the city, I also make a separate list of possible day/side trips from the city we’re staying in. There’s always more to explore outside the city, so don’t forget that! One more piece of advice: I would keep clicking through at least the first five pages of Google search results. The biggest websites will show up on the first page, and while helpful, I almost prefer the smaller websites and blogs for more curated, live-like-a-local lists. The big websites sometimes feature the most touristy items, so it’s good to look beyond those. Whether you’re just visiting a temple in Japan or hoping to do a tour of the Cotswolds, it’s important to look at what’s required for those activities. For example, several of the temples on our list for Japan were off-limits unless you applied weeks (or months) in advance for a formal invitation. 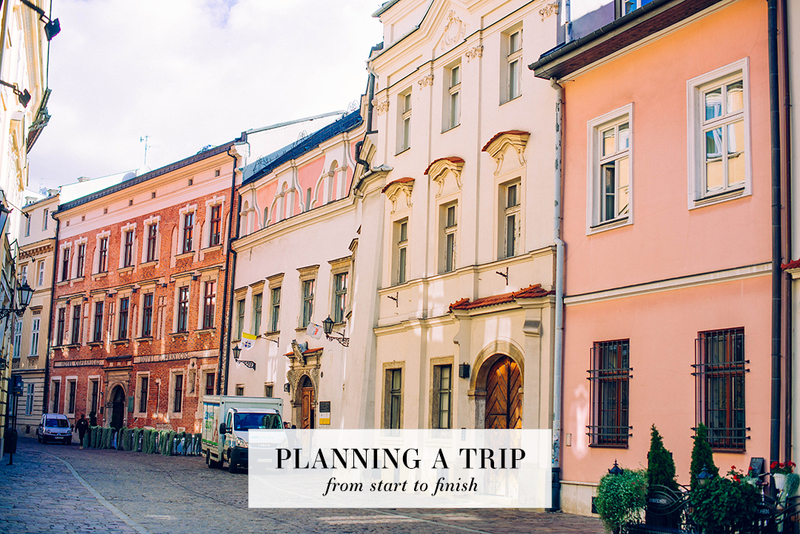 In that same vein, make note of the location of each attraction and how long it will take you to finish the tour or visit – this will help you immensely with planning your itinerary and figuring out what else you can fit into a day. Another example: when I was in London in Fall 2015, one of my big goals was to do a tour of the Cotswolds. Originally I thought it would be pretty easy to rent a car or hire a driver to take me around to the various villages – that way I could have as much time as I wanted in each spot. I quickly discovered that the villages are not all that close to each other, and renting a car/a driver was super pricey. After doing some additional research, I discovered there were several tours on Viator that took you around to four different Cotswolds villages in one day on a big bus. While we were sort of rushed in each location, it was the most price effective and easy option for someone traveling solo. I ended up using Viator a bunch while I was in England and the rest of Europe – they have a whole bunch of tours to various attractions everywhere you’d want to travel, private English-speaking guides for hire, etc. There are reviews, user photos, and very detailed info on each tour, how much time was required, etc. It’s a very helpful tool! Once you have all the info on each attraction (dates and times open, how long it will take, location and proximity to other attractions), you can start to compile an itinerary. The two biggest factors for me when determining how I want to set up my day are 1) how long will the activity take, and 2) what else is nearby that I can fit into the same day so we don’t have to go back to that same location later in week. If you knock out one neighborhood (or more than one, if they’re next to each other) all in the same day, you waste less money using Uber, taxis or trains getting to and from different locations. It’s impractical and inefficient to go to multiple areas of the city in one day, don’t you think? In such a large city like Tokyo, this type of planning was absolutely necessary. There are so many cool neighborhoods to check out, and unfortunately they are all very spread out: it’s about a 30 minute cab ride from Ginza to Shinjuku and other neat neighborhoods on that side of the city. It gets expensive! So with that, we decided to focus each day on one set of neighborhoods. One day we did Harajuku, Shinjuku and Shibuya, and on another we did Ginza, the Imperial Palace, and everything on that side of Tokyo. It made the most sense. Planning by location also made it easier to identify which restaurants to go to on which days. Once we narrowed down the list of restaurants to the ones that looked the best to us, we just chose whichever restaurants were located in the neighborhoods we were around on that particular day. A little description of each spot – some of the names don’t give any info, so it’s helpful to remember the exact things you are doing that day… whether it be visiting a museum, a temple, shopping, etc. You could also do this by adding a small photo below each line item. Exact travel details (confirmation numbers, record locators, vessel numbers) for planes, trains, buses, tour guides, etc. This is the last thing I do, and I’m not the best about it. Once I’ve gotten the itinerary nailed down and the tours booked, I sort of forget about the restaurants. It’s particularly hard to do if you’re not in the same country as your destination! At the very least, I recommend making your reservations the second you arrive at your destination. If you’re staying at a hotel, just ask the concierge to make reservations at the restaurants on your itinerary for you – they speak the language and will have a better chance getting you a table than you probably can! We quickly discovered that the restaurants in Japan are all super tiny and barely fit ten tables, so reservations were absolutely required for dinner pretty much everywhere. Can you share a screenshot of a Google Doc? I often plan this way, too, but I still haven’t perfected the travel spreadsheet!